FocusNZ is a New Zealand based web construction team with 12 years in the marketing business. We design and develop website's with brains. In years past the cost of having a high quality professional website could run into thousads of dollars, a heavy price tag for a small to medium business. With FocusNZ.com and its easy web site builder interface there is no need to constantly have your web site design company update your web site at a cost of hundreds of dollars. You will be able to update your web site yourself whenever you like as often as you like. With other web site builder systems you are expected to do all the work yourself. TheFocusNZ.com web site builder is different in that we can deliver to you a fully developed web site with a totally unique design including the creation of all of your sites content, including text write-up. 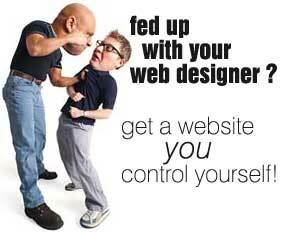 Get a professional website with custom graphics and an online editor for $799!